The International Kite Flying Festival is a bright and colourful celebration unique to Rajasthan. This festival is a breath-taking display as a huge variety of kites take to the sky all across the state. Highly visited each year, the Kite Flying Festival offers a whirlwind of fun and excitement for the whole family. The state of Rajasthan is home to the Kite Flying Festival. However, Jaipur itself hosts the bulk of the festivities. Here you will find people flocking from all over the country to be a part of this spectacular festival. This festival follows the Solar Calendar, celebrating on 14th of January every year. Lasting for three days, the festival starts with Makar Sankranti; a celebration marking the transition of the sun from dhanu rashi (Sagittarius) to makara rashi (Capricorn). The period celebrated is from the end of winter to the beginning of spring, a highly auspicious time on the Solar Calendar. Kite flying competitions take place at the Jaipur Polo Ground where winners receive various prizes. The objective of the kite flying competition is to “cut” your opponents kites. This is done by getting your sharp-edged kite string as close as you can to the other persons string and essentially cutting it very quickly. The kite strings feature a thin metal coating making them sharp enough to cut other kite strings. The cheers from successful kite flyers can be heard across the city. Kites are sold in local markets proudly handmade and handcrafted by local craftspeople. 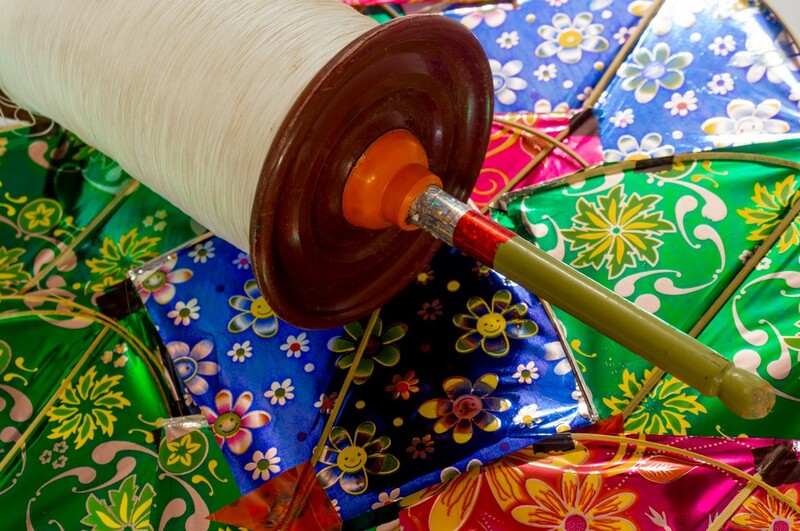 During the festival enjoy bright colourful kites in a variety of both shapes and sizes. It’s as if you are witnessing a stunning rainbow across the sky. The celebration looks especially amazing in the evening. Kites have lights in them and are accompanied by a dazzling fireworks display. The city’s skyline comes to life. During this time , the Rajasthan Department of Tourism organises a festival. Tourists are welcomed to join the kite flying as well as enjoy a variety of cultural performances. If you happen to be travelling around India during January, be sure you are in Jaipur, Rajasthan on or around the 14th. Witnessing hundreds of kites colouring the sky is simply breathtaking and a sight you won’t catch anywhere else in the world.